The Assistant helps you to identify important information related to apiary and offers advises. 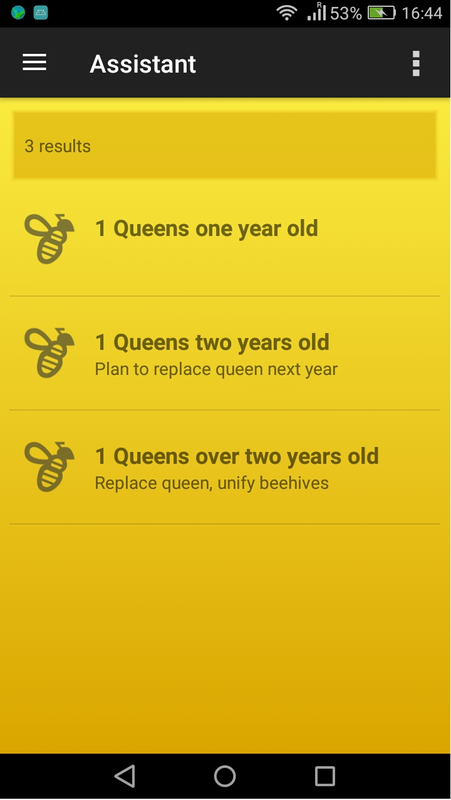 The Assistant analyse the hatch/birth year of the queens. DISCLAIMER: These advises are solutions taken from beekeeping best practices and are not promises or guarantees for success. 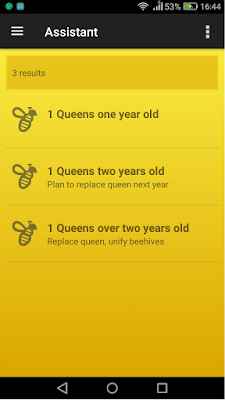 But it´s normal to have the information in the "assistant" menu, despite not having record of queens? Or what appears in "assistant" by default the information that you have above? My problem is that i dont have records of queens, and in the "assistant" always appears that 3 informations above!! One more time, thank you for you time. If you don't have records of queens, assistant should not display any information.